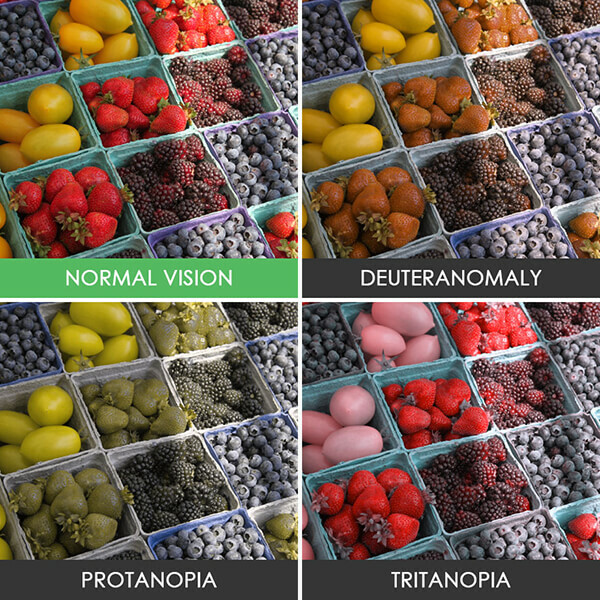 Color blindness is well known but hard to imagine if you are not suffering from it. 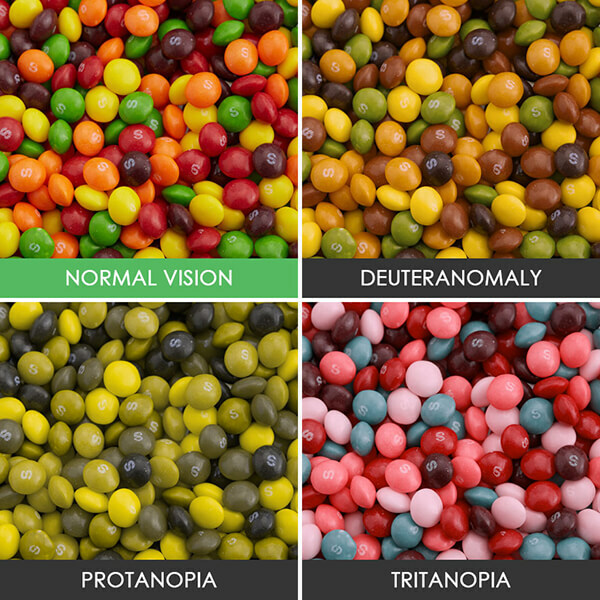 According to color-blindness.com, around 0.5% of women (1 in 200) and 8% of men (1 in 12) suffer from Color blindness. 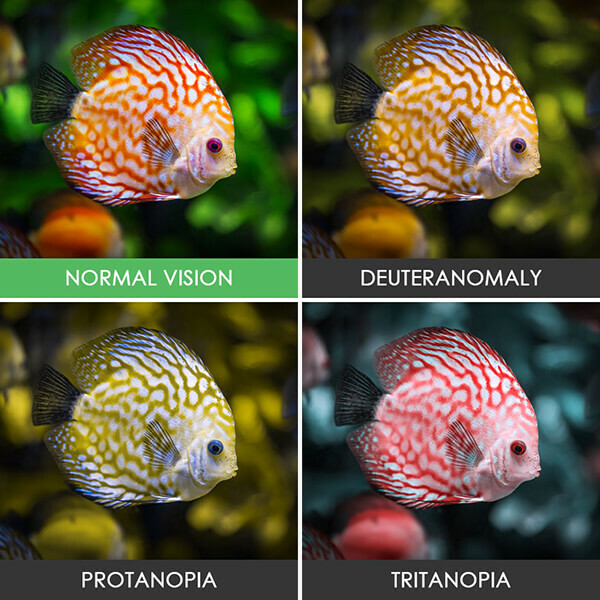 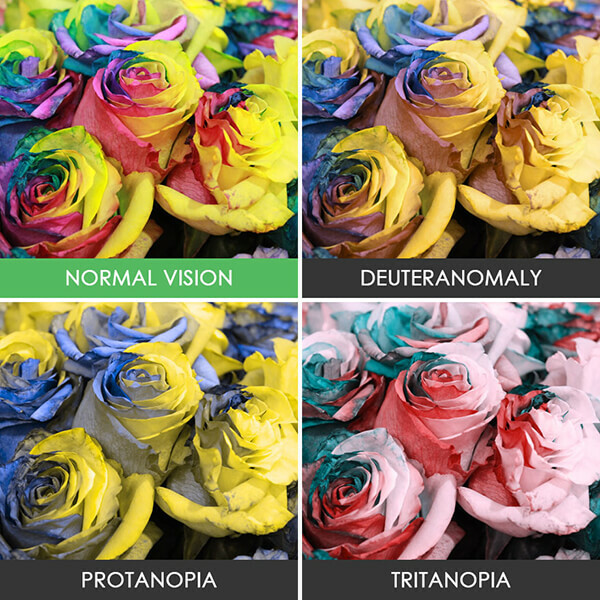 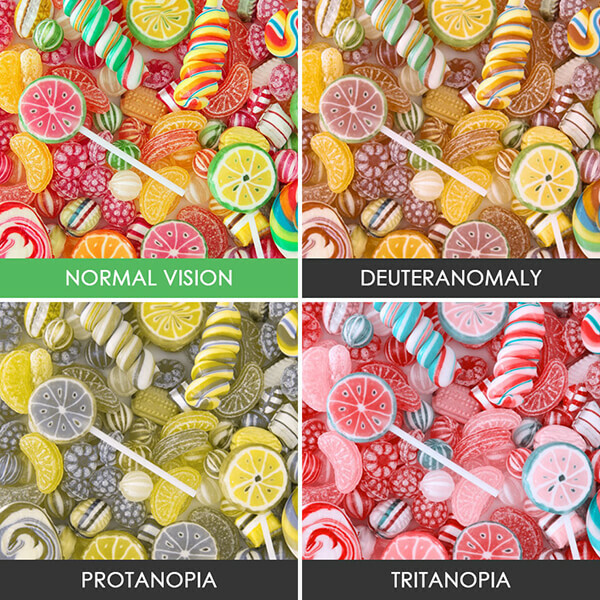 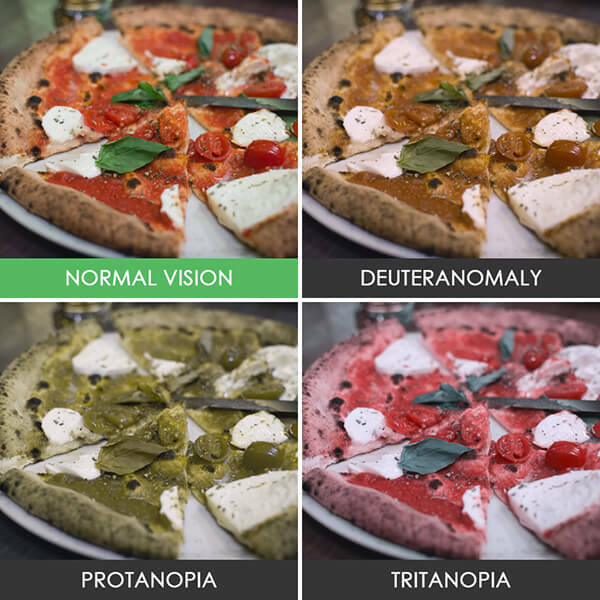 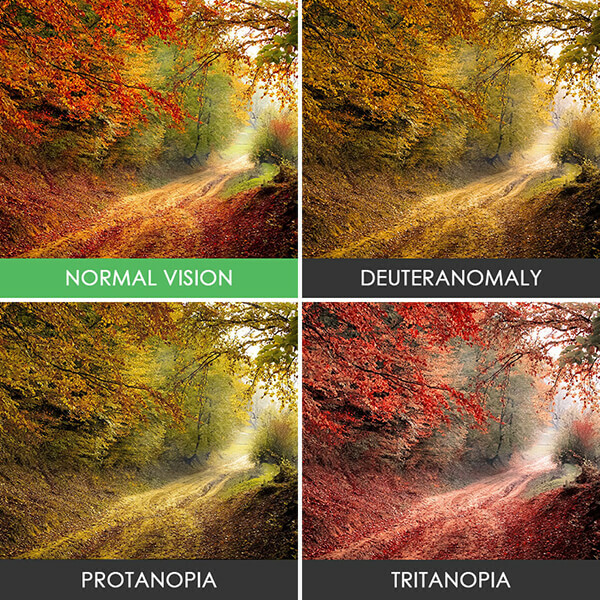 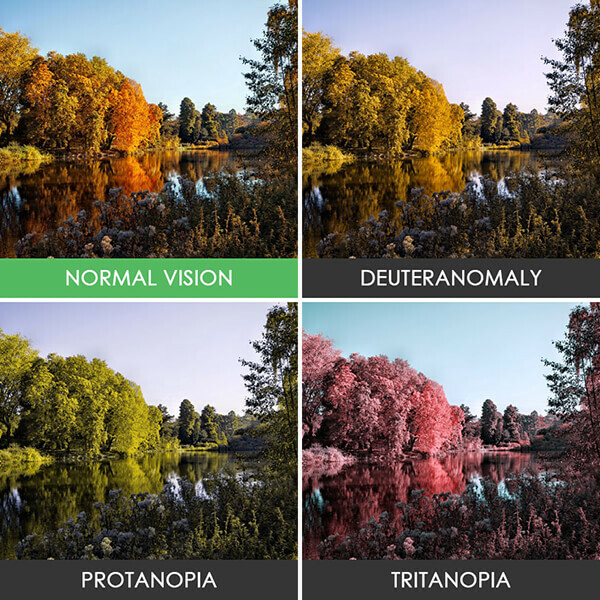 There are several variations of Color blindness such as Deuteranomalia (which makes everything look a little faded), Protanopia (which makes everything seem a little green), and Tritanopia (gives everything a greenish-pink tones). 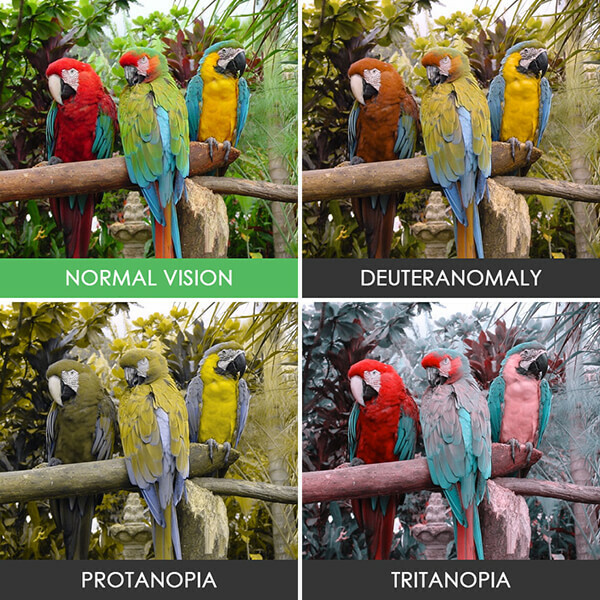 It is said only around 0.00003% of the world’s population see only black and white (Monochromacy). 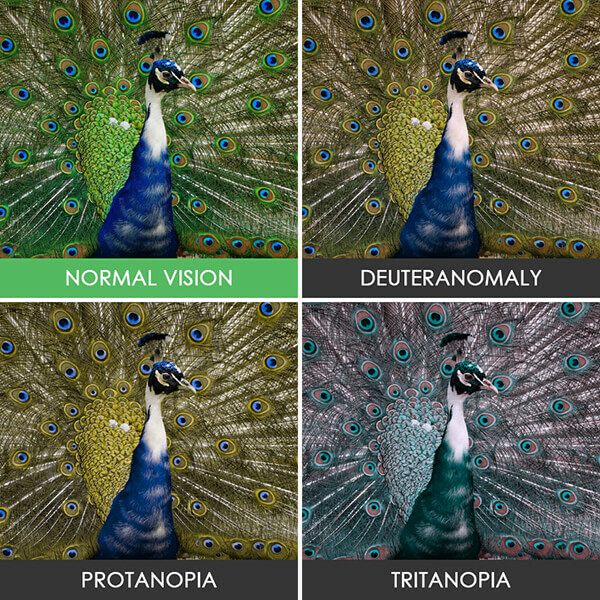 You can imagine people with color blindness sees world differently, but you probably won’t feel how differently it would be. 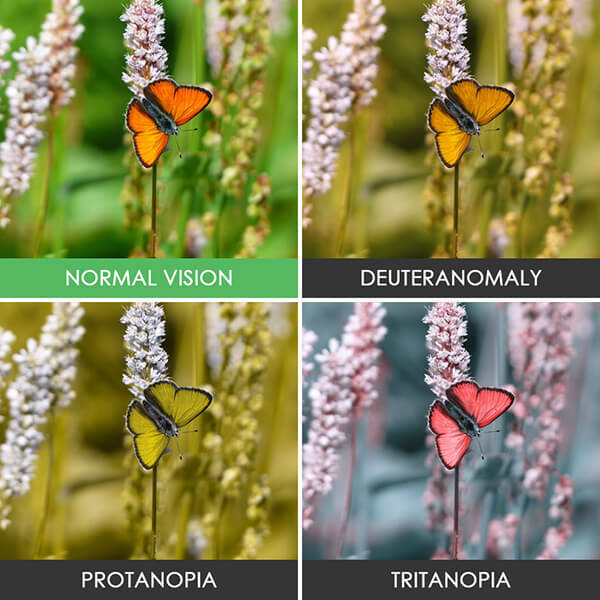 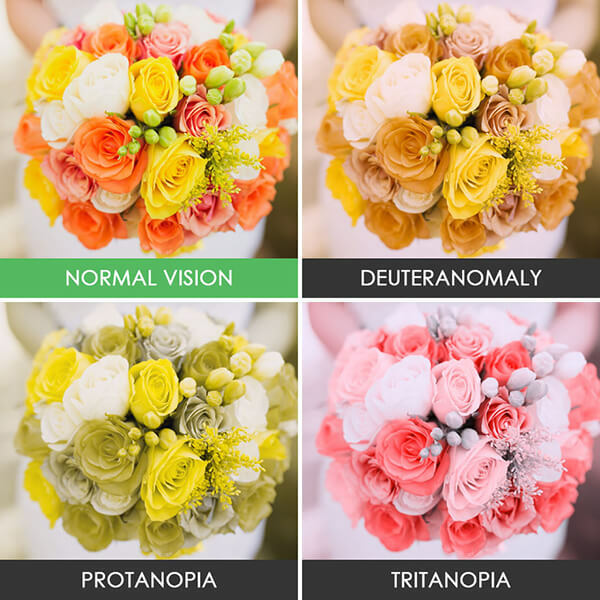 Below is a series of interesting images which try to show same picture with four modes: normal vision, deuteranomalia vision, protanopia vision and tritanopia vision. 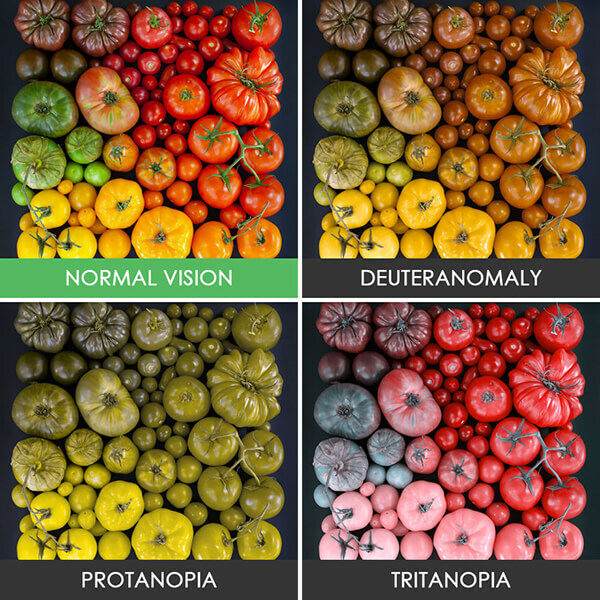 Having color blindness doesn’t mean the world is not visually attractive. 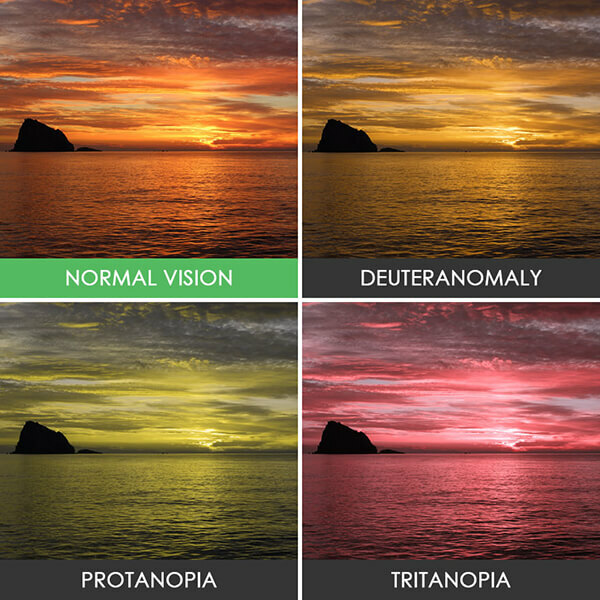 Actually, sometimes scenery looks more dramatic with certain color vision deficiency. 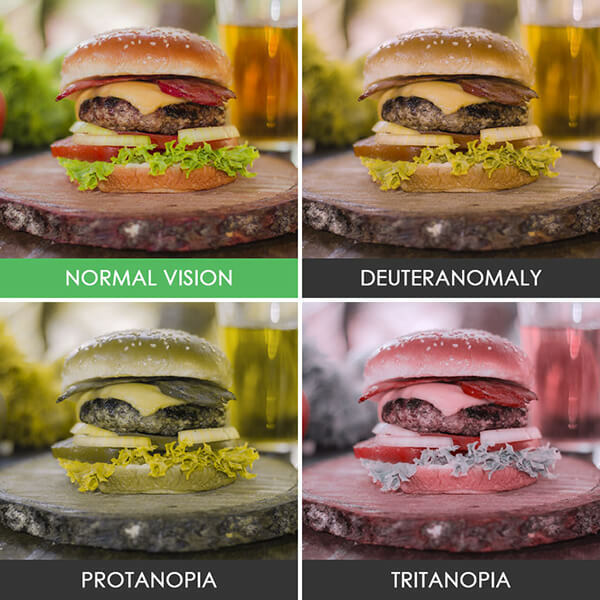 But I have to admit, most food doesn’t look that good. 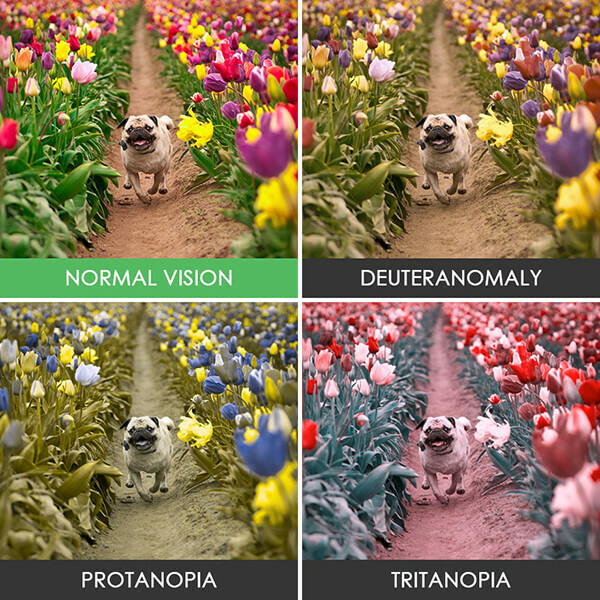 Anyway, take a look and see what the world looks like in others eyes, literally.